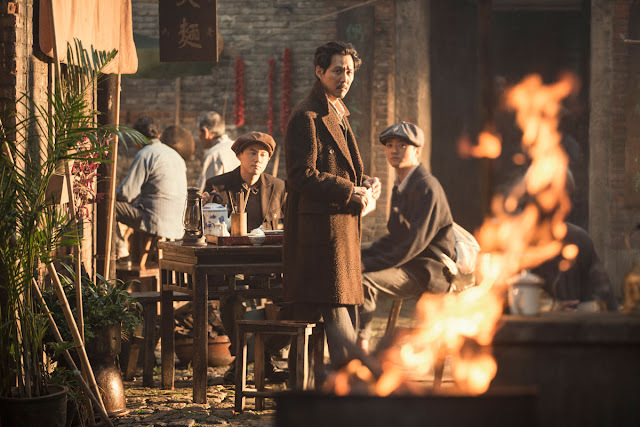 Thanks to Lee Chang-dong and a few late year surprises, 2018 saw the Korean film industry churn out enough quality product to merit a strong Top 15 once again, but the truth is that, for the commercial industry at least, the past 12 months have raised a lot of questions regarding the sustainability of the current marketplace. Beauty and obsession go under the knife in Juhn Jai-hong’s debut Beautiful (2008), a clinical observation of desire that was both produced by Kim Ki-duk and based on his original story. Lensed with a scopophilic yet detached gaze, it is more than a little reminiscent of the controversial auteur’s body of work. Ten years after her feature debut What Are We Waiting For?, documentarian Kim Hyun-kung returns with an intimate film that is both a portrait of a HIV-positive New Yorker and a filmmaker uncertain of her aims. Awkwardly straddling the border between human interest story and self-interest, Special Annie is a lively if curiously narcissistic sophomore effort. 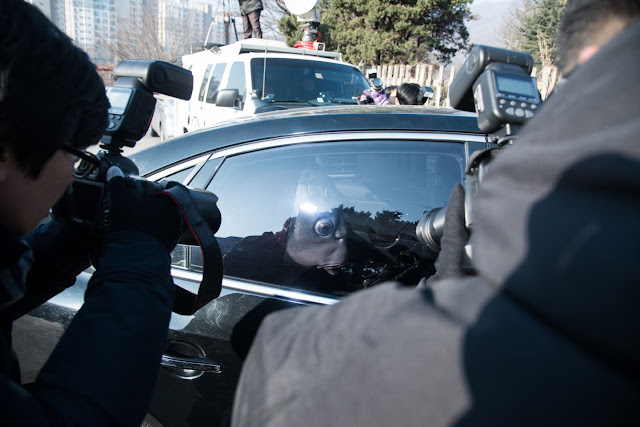 After what had been a slow year Korean cinema received a huge shot of adrenaline with Assassination, the latest from Choi Dong-hoon, which ushered in the high season at the 2015 box office. A considerable chunk of the country's biggest stars throw themselves into the director's high octane Colonial Era action-thriller that swaps out his usual caper shenanigans for an operatic espionage yarn. One of the more high profile among the many China-Korea collaborations of the last few years (prior to the THAAD-related meldown in relations), Bad Guys Always Die teams Taiwanese star Chen Bolin with top Korean actress Son Ye-jin in an action-comedy (leaning more towards the later) set on Jeju Island, an extremely popular holiday spot for both Koreans and Chinese tourists. Following Hong Sangsoo's career guarantees for viewers, at the very least, one thing - developing a keen eye for detail. The auteur's films are remarkably similar to one another, from their lecherous male director/professor characters and conversations over bottles of soju, all the way down to their repeating details and occasional (but abrupt) camera zooms and pans. 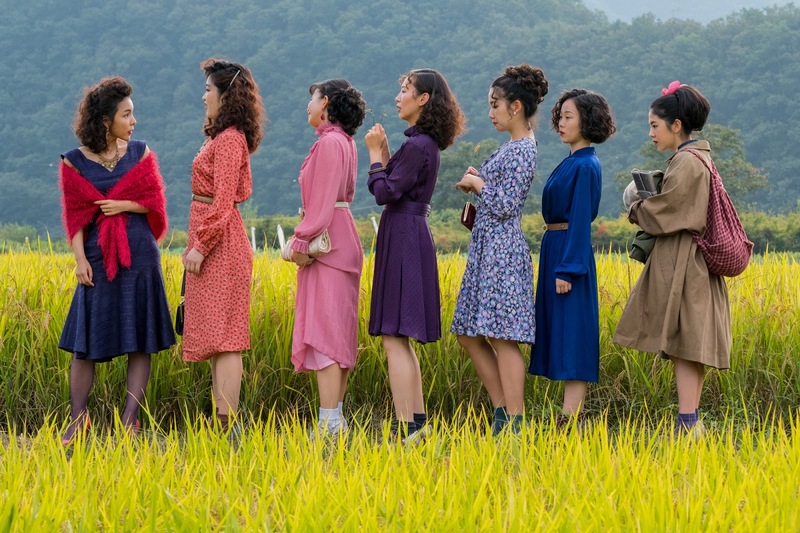 Wrapping a raft of social issues plaguing modern Korean society into a simple allegory, Collective Invention, a quirky comedy-drama with dashes of the same humor found in Bong Joon-ho's work, is a succinct but relatively straightforward affair. The setting is ripe for social commentary, but none of the observations rise above the superficial and ultimately the film is let down by a storyline that feels underdeveloped and ends on a wishy-washy note of false hope. 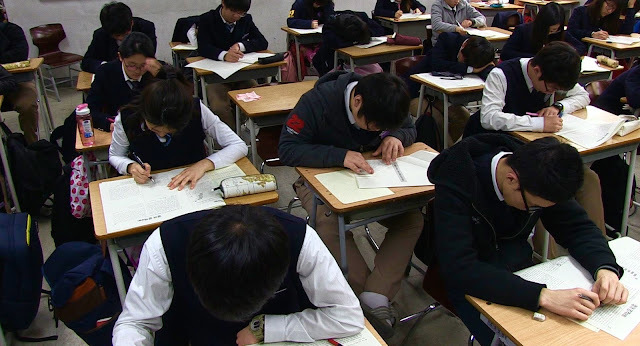 The last few BIFFs have each afforded us one great documentary (Non-Fiction Diary, Factory Complex), and 2015 proved to be no exception with the discovery of the timely Reach for the SKY, a compelling look at a common but disastrous problem at the root of modern Korean society - competitive education. Constructed like a thriller and featuring a taut and ominous mise-en-scene, this joint production between Korea and Belgium is gripping from the start and builds to a devastating climax. 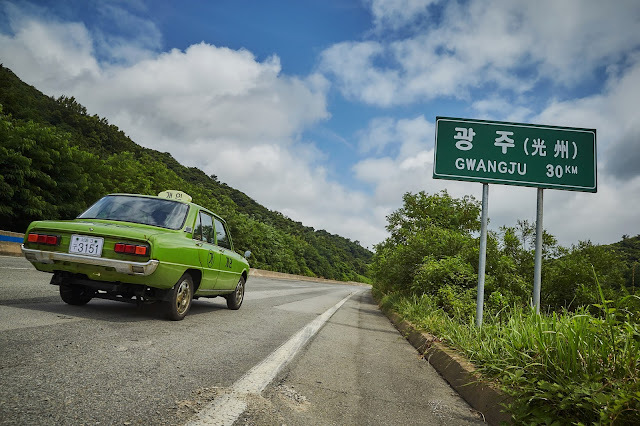 Three years after his debut Over and Over Again, director Kim Byung-june returned to Busan with a much livelier effort that strives to mix social realism and situational crime comedy. Aping the lowbrow comic efforts of Korea's commercial realm, Ordinary People looks to punch above its weight but by carrying over the issues that marred his debut and juggling a jumble of themes, Kim's latest strikes a discordant tone that is unlikely to move the masses. 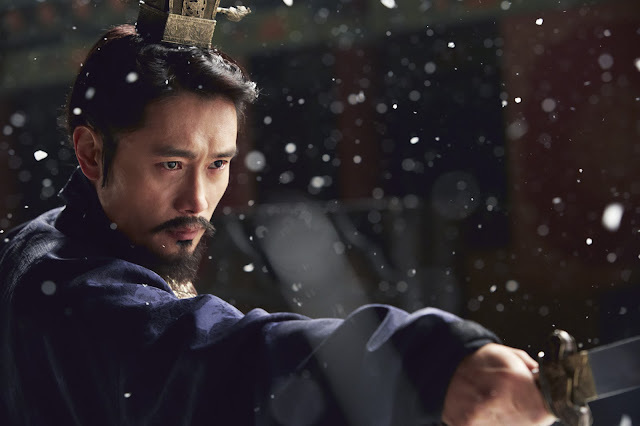 The wild card in the quartet of major Korean releases released in 2014's high summer season (alongside Assassination, Veteran and The Beauty Inside), the star-driven period spectacle Memories of The Sword proved to be a perplexing experience with jarring tonal shifts and unclear aims. 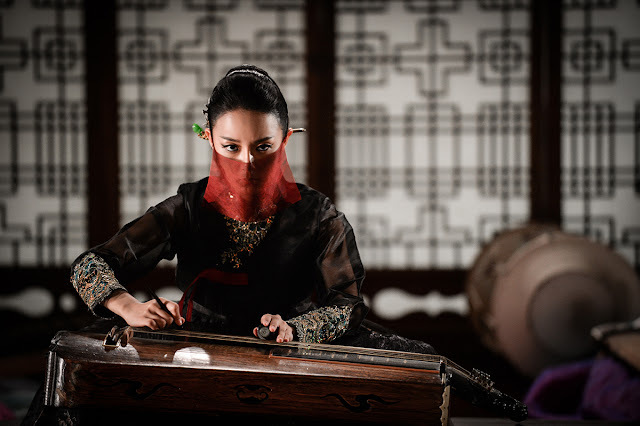 Not even Lee Byung-hun and Jeon Do-yeon, two of Korea's most dependable stars, rise above the material, while newcomer Kim Go-eun is an awkward anchor to the film's emotional heft. Thirty years after Lee Jang-ho's landmark film Eoh Wu-dong (available to watch for free on the Korean Film Archive's Youtube channel), a period ero that became a surprise critical and commercial hit in 1985, Lee Soo-sung offers up his own version of the tale, called Ownerless Flower Uhwudong (different spelling, same name), which had a limited theatrical run earlier after its festival premiere at the Bucheon International Fantastic Film Festival in 2015. 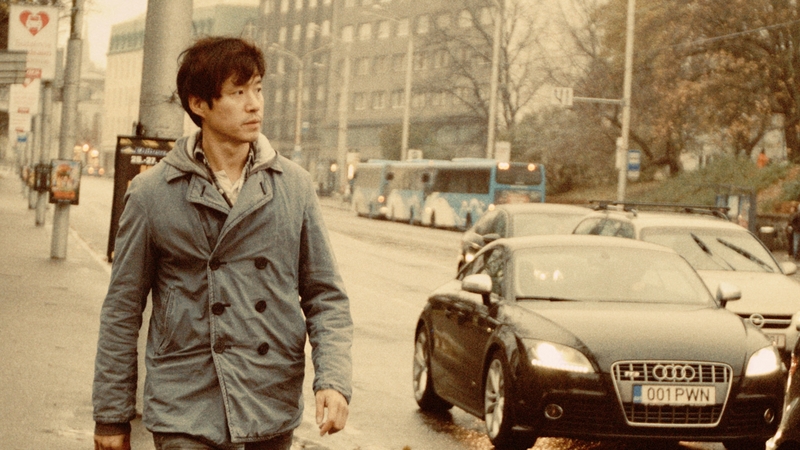 Following his trip From Seoul to Varanasi in 2011, arthouse filmmaker Jeon Kyu-hwan took a bigger leap overseas with Angry Painter, an indie tale of revenge and despondency that spends much of its running time trapping through the cold climes of Estonian capital Tallinn.